My mission as a concierge physician is to educate, collaborate with and ultimately empower my patients to make informed decisions on their healthcare. It’s very much of a partnership, as together we explore how to best treat their medical issues in a way that matches their lifestyle and vision of care. Patients are much more than their diagnosis, and the ability to connect with them in a holistic and very personal way is the way I want to practice, and how everyone deserves to be treated. These relationships have been lost in the rushed, mainstream medical model and I cherish the opportunity to restore them in my concierge practice. I used to see Dr. Cardenas at sharp, but she just started her own practice and now I am seeing her at her concierge practice. She is the most detail-oriented and down-to-earth physicians I have ever met. A natural conversationalist, she will do right by you. Dr. Carrie Cardenas is very kind and listens to what you are saying. I am very happy that she is my doctor. Also, her nurses have been very nice as well. 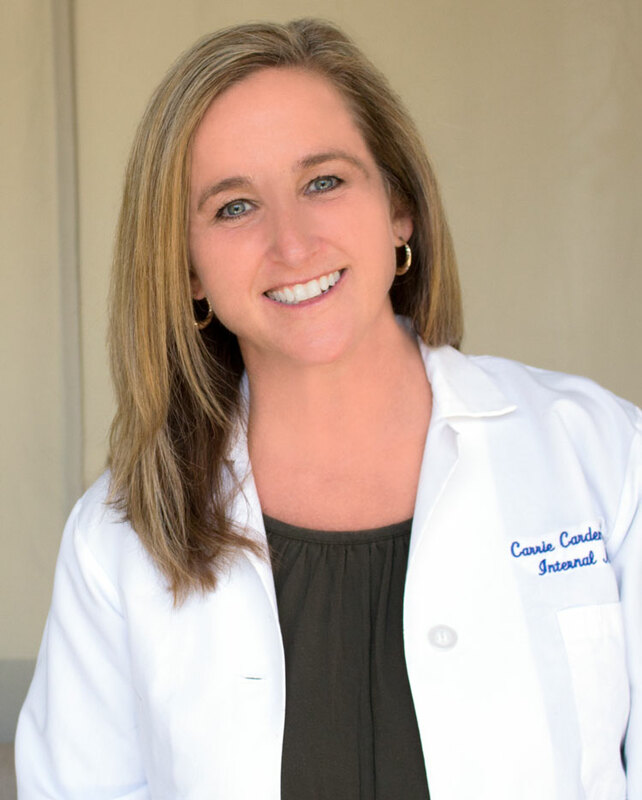 Dr. Carrie Cardenas is an exceptional physician. She makes you feel like your concern is the most important concern she has. She encourages her patients to take control of their health. She is the best physician I have ever had and I trust her diagnosis and treatment plan. Dr. Cardenas is great. She is very personable. I never feel rushed. She often follows up in person, but when the nursing staff follows up they are very helpful as well. I highly recommend her! Dr. Cardenas is an exceptional PCP! She will work with you through all medically related decisions, and she is available 24/7! The appointments are of a length that I am comfortable with, not these 5-10 minute appointments that hospitals provide. After hours, or on week-ends and holidays, for urgent issues you can reach me by personal cell phone, email or text message. As part of my commitment to your long-term health and wellness, my philosophy is to educate you about your personal medical needs and risks. Office visits will start promptly, allowing more time to thoroughly address all of your questions and concerns at each visit. When you call my office there is no recording to navigate…only real people to take your call, with a real concern for your health and well-being. Comprehensive Annual Health Assessment appointments will be schedule for approximately 60 minutes and all other appointments will be scheduled for approximately 30 minutes. You will be seen that day or within 24 hours for acute care visits.